Of all the confounding holidays—of which Italy has many --perhaps the one that most often trips up the traveler is Ferragosto. Italy slows to a crawl for the entire month of August, as everything from the neighborhood dry cleaner to the national government closes for ferie. But on August 15th, much of the country abruptly screeches to a halt for this most sacrosanct of bank holidays, which has a long history intricately interwoven with that of Italy, itself. From the Roman emperor Augustine’s Feriae Augusti established in 18 BC, to the Catholic holy day of the Assumption of the Blessed Virgin Mary five centuries later, to the contemporary incarnation with roots in the Fascist period and post-war economic boom, Ferragosto is one of the cornerstones of the Italian holiday calendar. Though it’s still true that many—most—offices and businesses close on the 15th (and often the week before and after), it’s also true that the lion’s share of these don’t affect travelers that directly. It might be impossible to renew your driver’s license or buy a screwdriver during that week, but generally visitors to Italy are far more interested in eating, sleeping, and sightseeing. 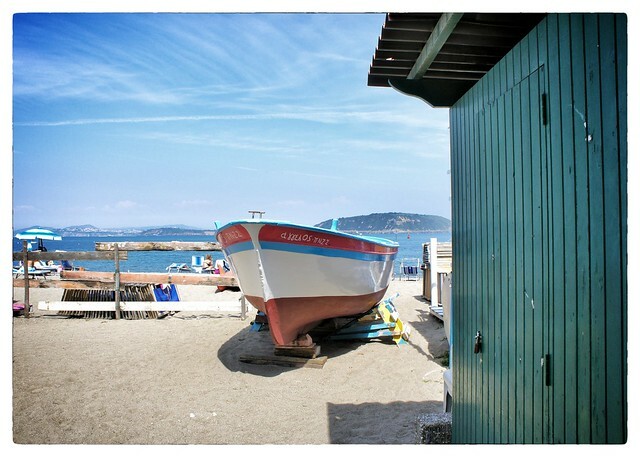 In short, if you happen to be in one of Italy’s major tourist destinations or at the seaside, you may find that Ferragosto slips by largely unnoticed. The Ferragosto Glass, Half Full. You may find that you have to abandon your Plan A itinerary because it bumps up against a Ferragosto closure. That said, for every door that closes, another opens. As a major holiday, Ferragosto is marked by a number of annual festivals and celebrations across the country, which can offer travelers a taste of authentic Italy and can be the highlight of any trip. Many of the bigger cities hold free outdoor concerts and performances in the piazzas, but the prettiest celebrations tend to be in smaller seaside and hilltop villages. Diano Marino and Alassio in Liguria both illuminate the Mediterranean with lantern-lit boats and firework displays on the evening of August 15th. On the opposite coast, Cappelle sul Tavo in Abruzzo celebrates Il Palio delle Pupe with huge effigies paraded through the nighttime streets and fireworks and, further south, Madonna della Madia in Puglia puts on a waterfront festival re-enacting the salvaging of a Byzantine icon of the Madonna which washed up on their shores in the 12th century. Inland, a number of towns evoke the Roman tradition of equestrian events during the ancient August festivities by hosting palio horse races. 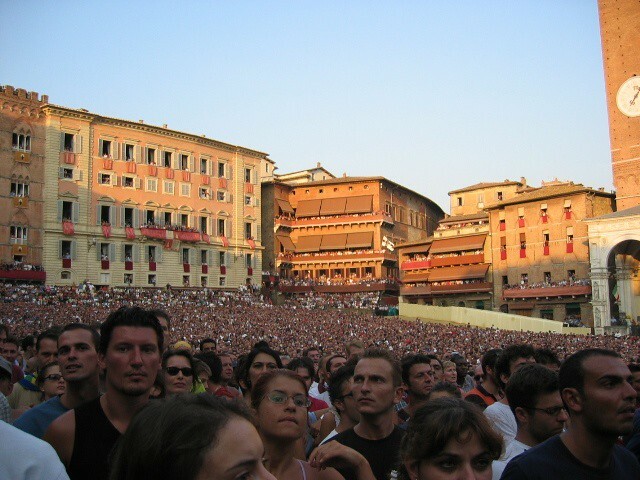 Of these, by far the most famous is Siena’s Palio (held on the 16th, but the party starts heating up on the day preceding), though the Palio delle Contrade in Lombardy’s Garda combines a bit of land and sea with both a horse race and a regatta. The most common way to spend Ferragosto for the average Italian is either at the beach or on a cool mountaintop, so if both your Ferragosto Plans A and B fail, opt for the national fallbacks. There are a number of beaches easily day-trippable from Rome for a quick dip, or head to the refreshing wooded Monte Amiata near Florence for a picnic lunch al fresco, if you happen to catch Ferragosto in either of those cities. Otherwise, head to the seaside town or mountain nearest wherever you happen to be. Just keep in mind that a huge percentage of the Italian populace is traveling in the same direction, so traffic may be heavy and public transportation crowded (remember to read the bus and train schedules for giorno festivo!). However you end up spending your Ferragosto in Italy, remember that it’s not simply a day of rest but a rich tradition with roots through two thousand years of history. Buon Ferragosto!